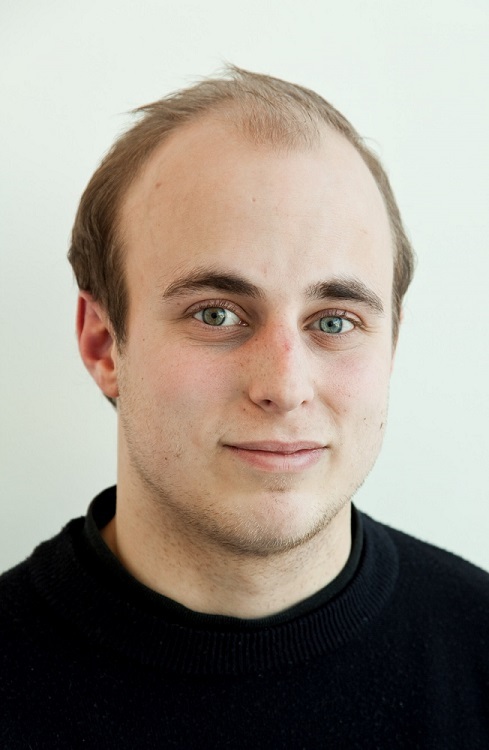 Postdoctor Andreas M. Hoff in the Skotheim group at the Department of Molecular Oncology spent a year of his postdoc in the lab of Matthew Meyerson at the Broad Institute and Dana Farber Cancer Institute, Boston, USA. As shared first-author, he publishes together with his colleagues at the Meyerson lab in the prestigous journal Cell (impact factor 30). 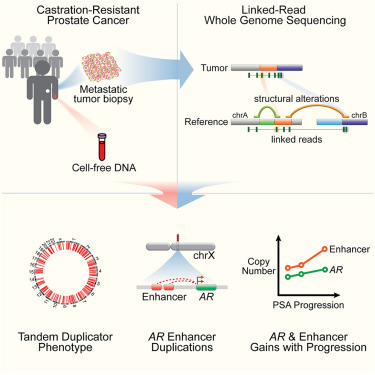 The article "Structural alterations driving castration-resistant prostate cancer revealed by linked-read genome sequencing" was published online June 14th in Cell. The study used a new technology, 10X Genomics linked-read sequencing, to characterize the whole genomes of patients with metastatic castration-resistant prostate cancer. This led to discovery of a tandem duplicator phenotype, linked to CDK12 inactivation in these cancers. Additionally, by detailed investigation of the genomic locus of the androgen receptor gene (AR), they found that AR is amplified together with a non-coding enhancer element about 700 kb upstream of the gene in 70% of the cases studied. An additional 17% of the cases harbored selective amplification of the enhancer, resulting in a total of 87% of patients with genomic aberrations of the AR locus. Both the tandem duplicator phenotype and AR enhancer amplifications were further explored and confirmed using ultra low-pass whole-genome sequencing (ULP-WGS) of circulating cell-free DNA from an extended series of patients with advanced stage prostate cancer. Hoff and researchers at the Department of Molecular Oncolgy are now establishing the use of 10X Genomics linked-read sequencing and ULP-WGS approaches (the latter approach developed at the Broad Institute by the blood biopsy team and the Meyerson lab) locally. Amongst other projects, these technologies will be used to study the genomics of matched primary prostate cancer tissue and DNA from blood plasma from patients who experience relapse.